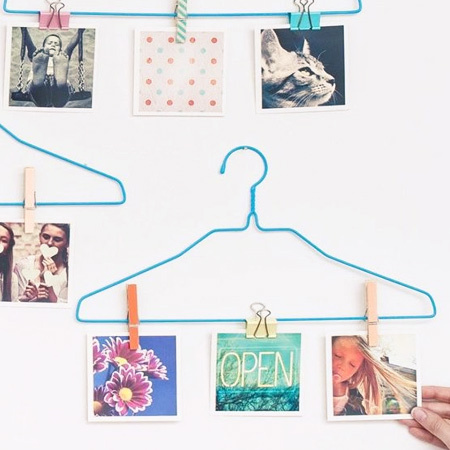 Wire coat hangers aren't something you would usually associate with decor, but you would be surprised at the number of ways wire coat hangers are turning up in new ways. 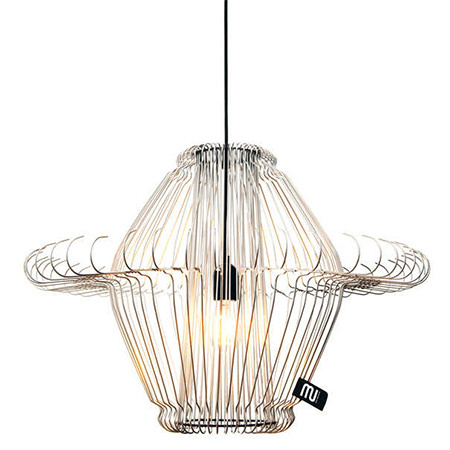 For example, we're seeing quite a few contemporary designs that use wire coat hangers in different ways, such as the eye-catching pendant lamps above by Light Mi. These pendant lamps are designed in such as way as to maintain the integrity of the humble coat hanger to form a sophisticated pendant light. 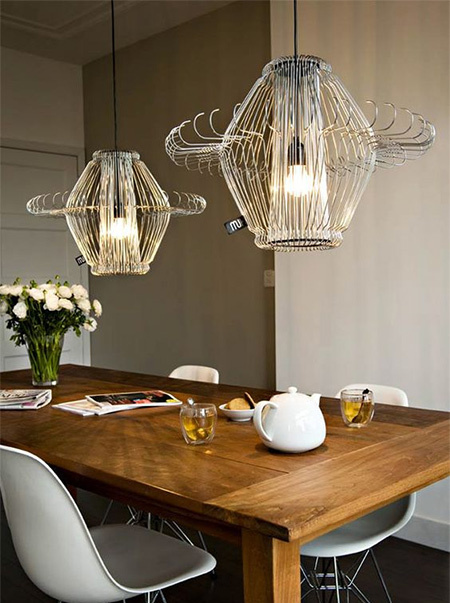 We've seen plenty of recycled ideas for lighting, but this one is definitely something new. 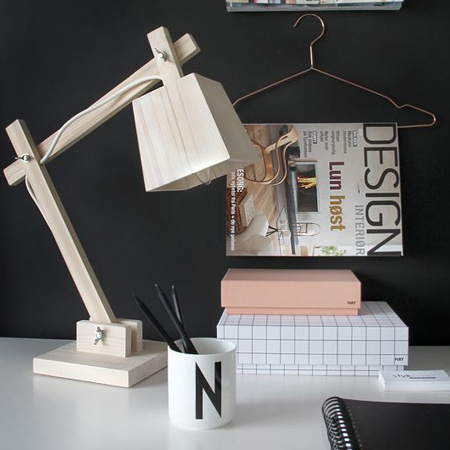 I mean, we've used everything else to make light pendants, why not try coat hangers! 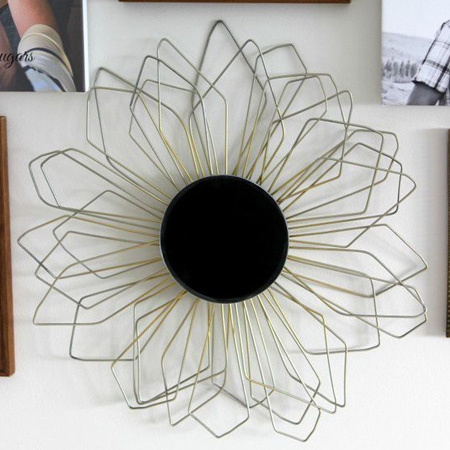 There are plenty of ways to use wire coat hangers to create your own personal wall art. Bend them, shape them and turn them into unusual forms for a custom display, or look how you can incorporate wire hangers into items like a sunburst, as per the one shown below. You don't have to keep them in their original form. Use a pair or wire cutters to cut the hangers so that you can re-use the wire for other decorative items. 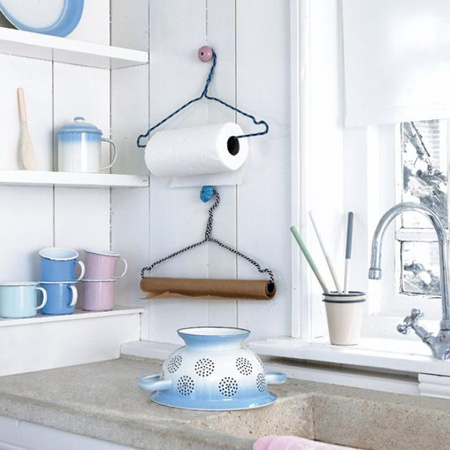 Instead of using them for clothes, coat hangers can be used as hangers in many other different ways. If you need a towel hanger, simply unravel the top part of the hanger to slip on a paper towel roll and then wrap back into shape. I've never thought about coat hangers as wall art, but contemporary designers are using coat hangers in many other ways than the use for which they were intended. 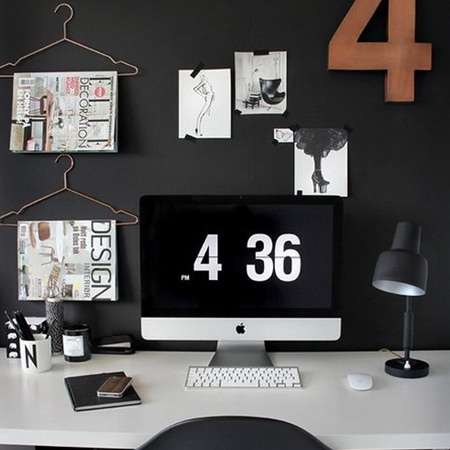 Love the idea of using coat hangers to display your favourite magazines. You can use several hangers on the wall for an interesting feature, and have all your favourite reads on display. 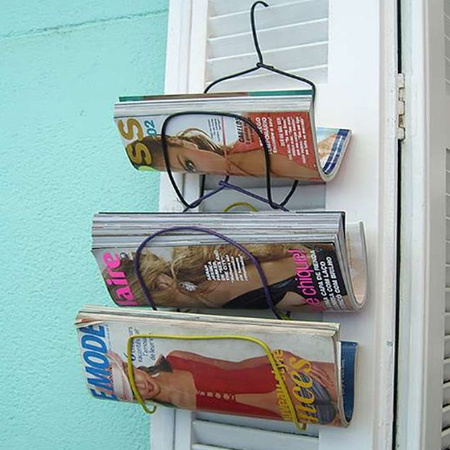 For a more casual magazine holder, bend and shape a couple of coat hangers to form a nifty magazine rack that you can hang anywhere. 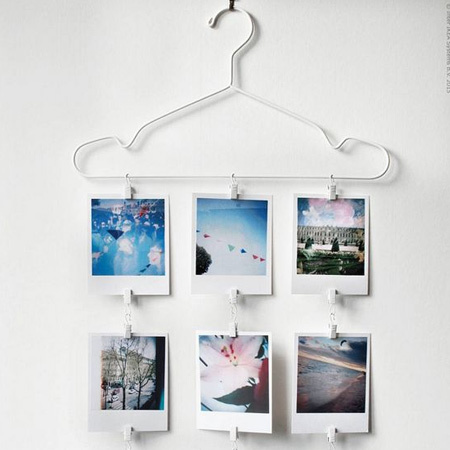 Another great way to use coat hangers is as a display for your photos and images. 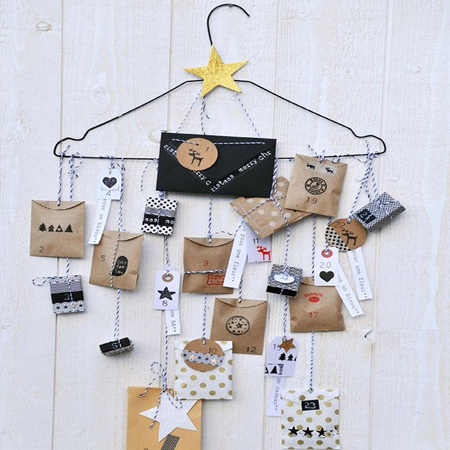 Secure you photos and images to coat hangers using fabric-wrapped or painted pegs or bulldog clips. 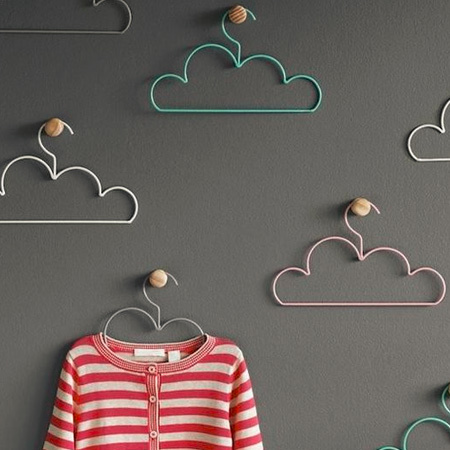 If you're decorating a children's bedroom, use coat hangers to set up an interesting display on a feature wall. It's easy to bend and shape coat hangers using a pair or long-nose pliers for fun designs. Not something new, but definitely something to consider... wrap steel coat hangers with scraps of fabric and set them out on display. 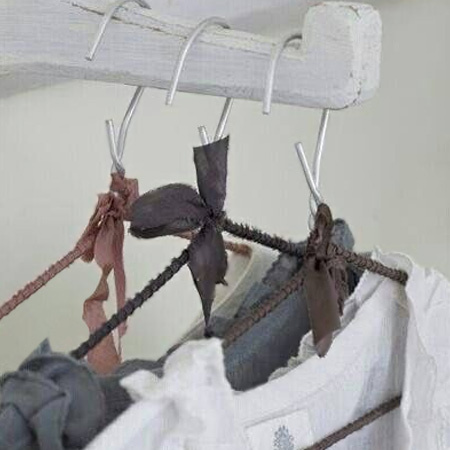 The next time you end up with a pile of steel coat hangers - and before you toss them out - give some thought as to how you could repurpose or upcycle these for the home.